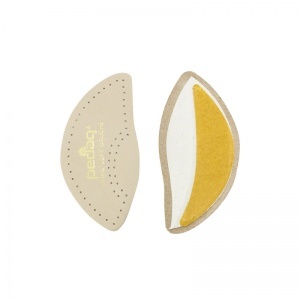 The insoles are very good. Exactly what I’ve been looking for. 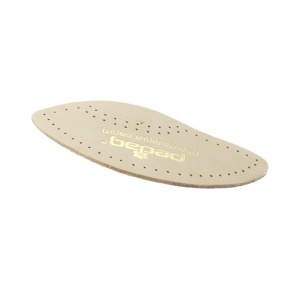 There seems to be a lot of choice of half insoles with arch support, but these are the only ‘wedge’ type I found. I opted for these as with the half insoles it’s hard to tell how they would fit inside the shoes, especially if your shoes are a snug fit. The only thing is that if you use them in different shoes, the sticky part might eventually stop holding them in place. I’ve been putting the wedges under the original insoles of my shoes. This seems to do the trick, for now anyway. As to price I find them on the more expensive side, considering that there is a lot of choice of half insoles for a fraction of the price. Having said that, they are of good quality, and I am quite pleased with them. Especially if they last. I was advised by my osteopath to try medial arch supports. I have now worn these for a couple of weeks and find they help. I will return and purchase another pair for another set of shoes. Bought for my daughter and can see in immediate improvement, very pleased.